I now have a fully spammed up 'Vecoven' V4 MKS-70, with PWM, four (two lightning fast - always a JX weakness) envelopes, two LFOS, expanded storage memory, enhanced Wilkinson display, and a Retroaktiv MPG-70 with which to control it all. 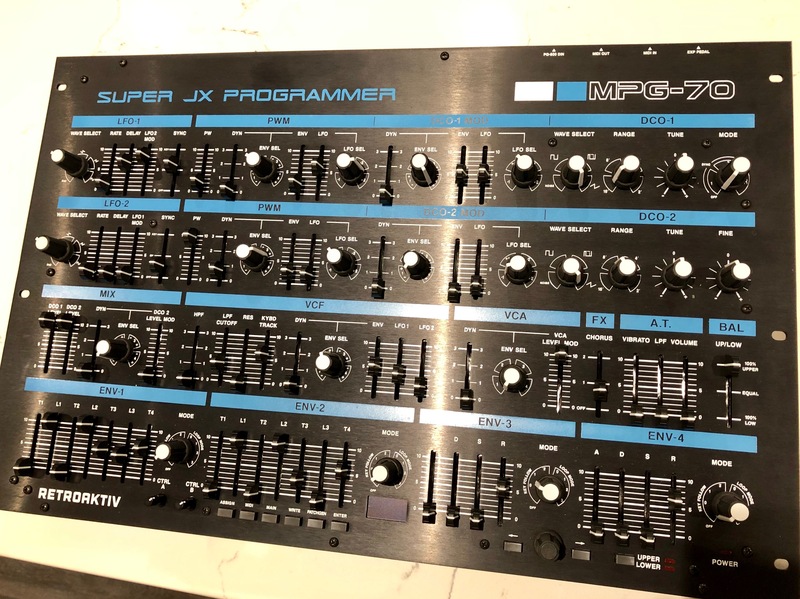 The powers of the V4/PWM MKS-70 are finally under my fingertips and the 'bonus' features of the programmer are incredible - patch generator, twin-control/footpedal multi-layered 'morphing' capability, the facility to control 2 synths from main and aux connectors... incredible. Fred Vecoven, Guy Wilkinson and Rob Hoyt have transformed the old Super JX synths. Much respect and eternal thanks to them. Nice, the JX8p/JX-10/MKS70's have a unique sound character. desmond wrote: Nice, the JX8p/JX-10/MKS70's have a unique sound character. Even better is that these mods don't alter that, but they will let you go in other directions too.